XR is everywhere, and is for everyone, the latest offer from XR@Annecy! 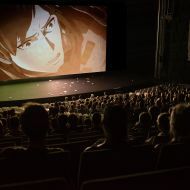 With the development of a complete transversal program dedicated to XR, Annecy becomes the unmissable international event for animated creations in all its forms! Presented as part of the special programmes for the first time at Annecy in 2016, Virtual Reality enters into the competition status this year. VR Works are in the Official Selection and one of them will have the accolade of winning the Cristal Award for Best VR Work, chosen by a specialized jury. Come to the heart of the Haras and discover a selection of virtual reality animated works. In this new broadcasting space, open to all ages and free, you can experience at least ten immersive adventures to play, discover and fantasize! 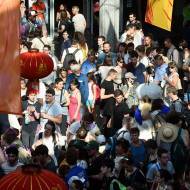 This year, there are XR dedicated conferences to complete the existing Annecy Meetings sessions. A platform of discussion about the current and future challenges concerning XR. These sessions will provide a crosscutting approach where renowned industry professionals will share their work experiences and strategic points of view. Annecy’s Work in Progress gives attendees the opportunity to discover animated films, and will reveal for the first time the secrets of making two immersive works during production. Their artistic choices and challenges are discussed in these sessions. This year, Mifa is doubling its surface area for studios and companies to present their latest technological inventions and also for dedicated viewing spaces and XR experiences. An area that is no less than 200m² is available for testing these latest immersive reality projects. The Mifa Pitches showcase the best animation projects that are in the writing or development phase and which are in search for funding. 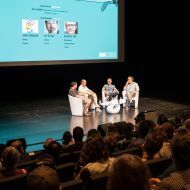 For several years these major Mifa gatherings include the Interactive creations & Transmedia category that unites, amongst others, the VR and AR projects. Participate in the 1h15 showcases during the XR Demo Sessions, where the biggest special effects studios, software publishers, etc. present their state-of-the-art tools and technological solutions. Sometimes there are even some "Battle XR" on the programme for those who want to assess their creativity.